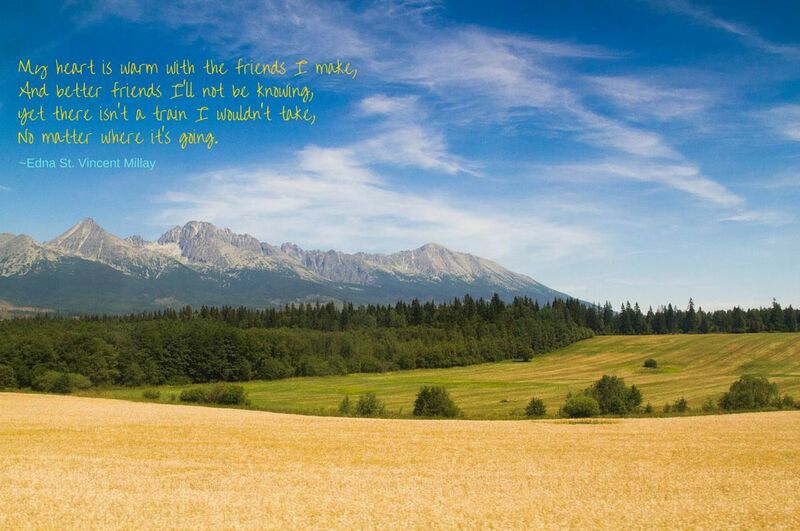 The view out of our train window as we rode through Slovakia, gazing at the Tatra Mountains. When our Eurail passes arrived in the mail in early June I thought, “We have plenty of time to plan this trip.” There was vague, nebulous idea that we would ride trains and see as much of Eastern Europe as possible. We knew we would visit as many UNESCO World Heritage Sites as we could and that we wanted to visit as many new countries that time allowed. But when it came down to planning and figuring out a specific route we just kept avoiding it. What a chore! 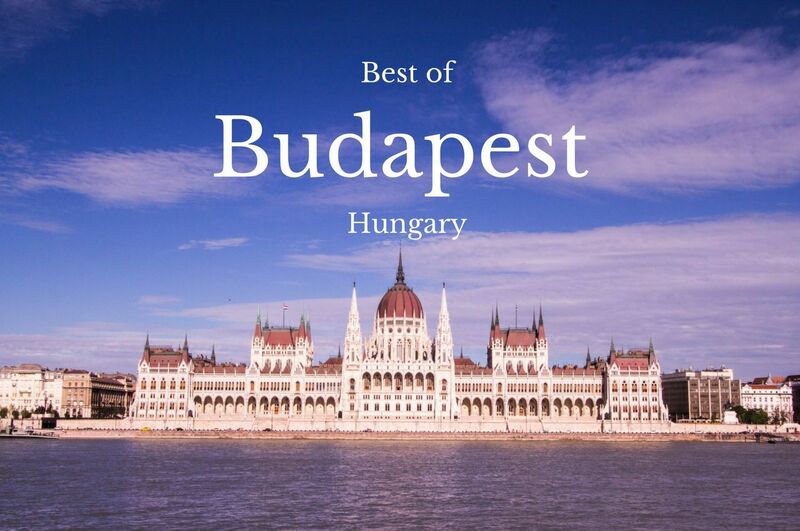 The beauty of building an Eastern Europe train itinerary is visiting gorgeous places like Budapest. And wouldn’t all of that planning and scheduling turn the trip into a checklist of sights and cities? Where was the adventure and romance of traveling through Europe on a Global pass, going wherever our fancy took us? It was easy enough to put off all of that drudgery! We had the map that came with our passes, and we loved pulling it out and just dreaming about the routes we’d take and the cities we’d visit, but reserve a specific train on a set date? Two months ahead of the visit? No way. Instead, we spent time looking for resources, trying to figure out the best way to go about this and still maintain some spontaneity. In the end, we came up with a set of tools and resources which helped us along the way, and it seems like a good idea to share those with others and hopefully help them save some time in their own journey. 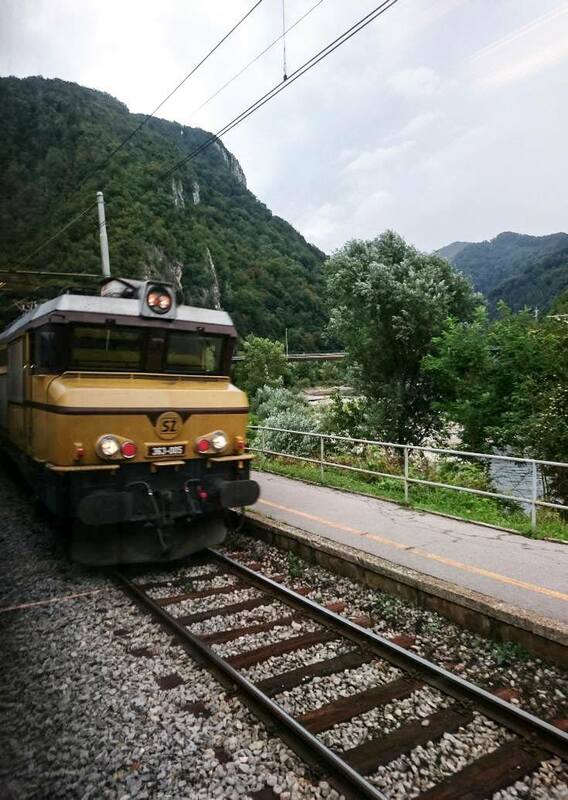 Slovenian trains travel through some of the most scenic areas of Eastern Europe. 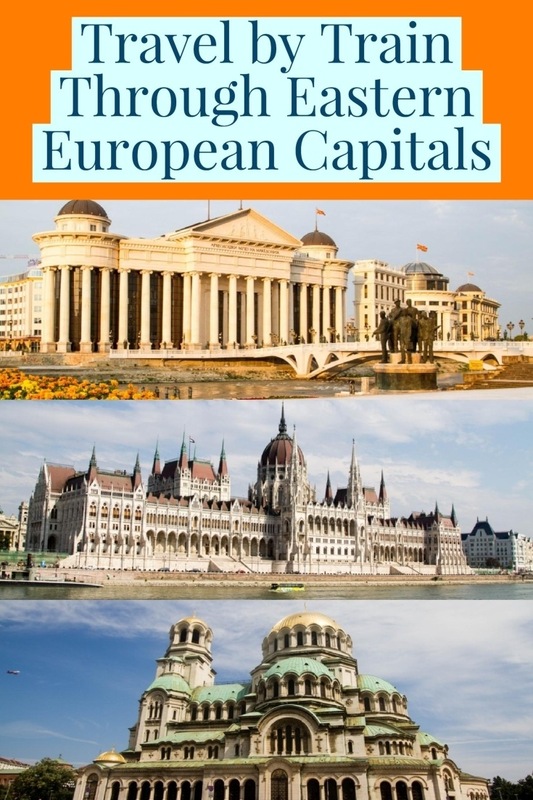 Have you ever thought of taking an epic journey through Eastern Europe on the train? Where would you go? There are several tools that really make it easier for you to get from point a to point b, but the starting point for most of our journeys was a map-a real, paper map. Sometimes you just want to unfold a map, spread it out on the table and let your imagine take you down the roads, train lines, rivers, whatever! Being able to see the big picture is invaluable in this age of phone screens and tablets. Sure, with the device there’s a lot more information at your finger tips, but it’s sometimes hard to connect the dots when you’ve swiped in and out and around so much that your original starting point is somewhere out in the clouds. And it can be hard finding a good map that shows the train networks in Europe. Most road maps don’t do a good job of this and the small maps in Lonely Planet are pretty useless for planning a multi-country trip. There are some good rail maps available for purchase, but we just used the planning map that came with our Eurail packet. Did it show every route in every country? No, but it did show the major routes, enough to know if you could get from that point a to point b without too many switches. The planner map that Eurail provided us was good for the big picture, but all of Europe doesn’t really fit in a two foot by three foot rectangle. In the cities and towns you really need something better. That’s where our iPhone and Android devices really paid off. Our data plan is pretty generous and includes unlimited data in most of Europe; theoretically we would be online in most of the countries we visited. However, in practice we were without data more often then we had it. We needed good offline tools and luckily there are plenty of them out there. We found that by using wifi or data when it was available we could plan a leg of the journey and then go offline and have all of that info still at our fingertips. One of the best tricks we discovered was using Google Maps offline. Sophia, Bulgaria on a sunny summer’s day is the perfect spot to spend a couple of days. 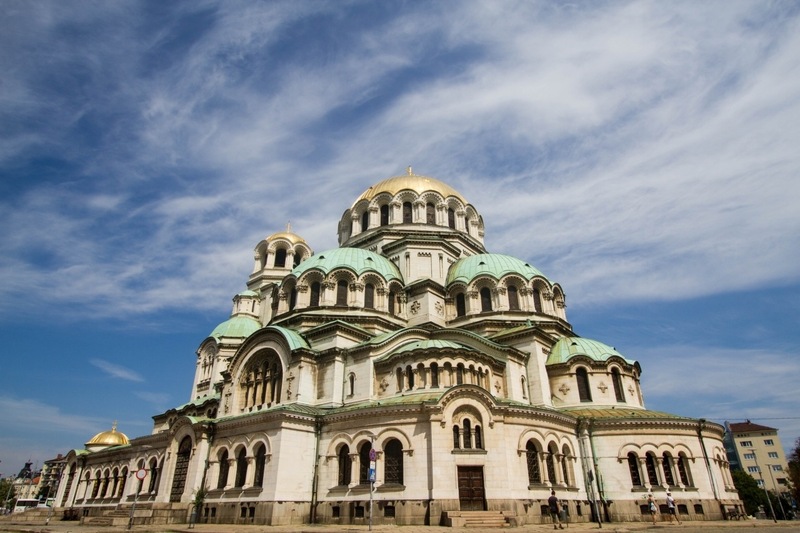 We’d been to Bulgaria before and were excited to see it again, so that’s why we added it to our Eastern Europe train itinerary. If you Google “using Google Maps offline”, you’ll find the answer quick enough. It’s really not a secret. There’s a couple ways to get it done but the easiest is to search for the name of the city or town where you’re heading then zoom in or out to get the area you’ll need and type “ok maps” in the search bar. A quick download and the map is available when you’re offline simply by tapping on the three bars icon and choosing “your places”. Another useful tip for google maps is to use the phone’s built-in GPS to make sure you know when you’re getting close to your destination or to that next transfer point. This one’s easy too. Before you leave the data area, start a route plan for your destination. When you leave the data area you’ll still see your location on the map and you can watch the little blue ball getting closer and closer to the station. 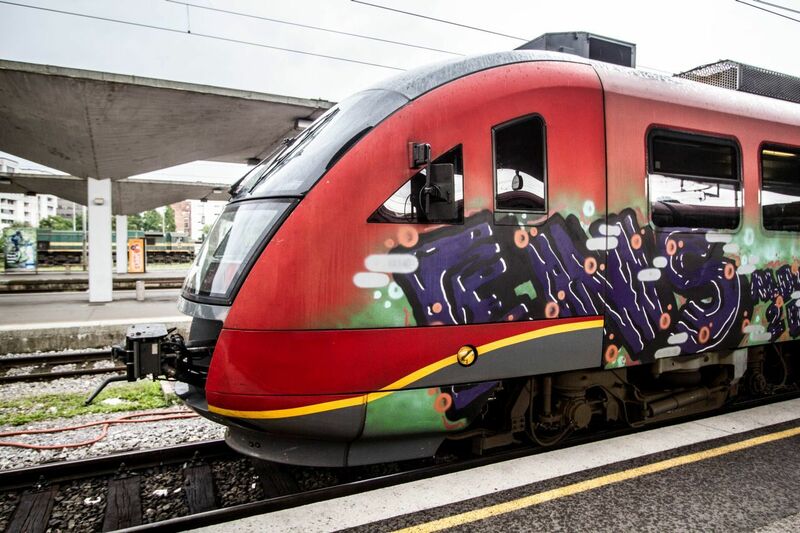 This train received a little extra artwork somewhere on its travels! Another very useful map app I use all the time is PocketEarth – This is a super good offline map app, but it’s only available on iPhone. I first found this in Singapore and it was so good there that I’ve been using it everywhere ever since. After installing the app just download the map for the country your visiting or just the city. It has a pretty extensive database and does a good job of providing directions. It also shows your location via GPS. One of the questions we got a lot was, “Did we always need a reservation?” It usually only costs a few euros to reserve a first class seat (if there is a first class car on the train) so if you have time you might as well. We found that many of the ticket clerks would tell us if we didn’t really need the reservation and they were always spot on. Sometimes, however, you don’t have time to make the reservation or even inquire about it. What does an intrepid Eurail traveler do in these situations? 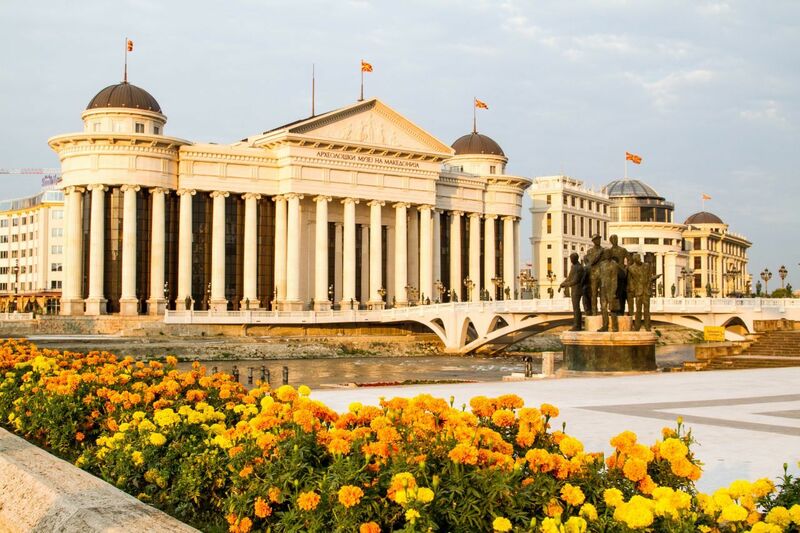 Skopje, our first time there, was awash in creamy yellows as the sun set. What a great way to get to such an out-of-the-way Eastern European capital. Leaving Krakow we had intended to head north to Warsaw and had made the reservation in the afternoon the day before we planned to depart. During the evening we talked ourselves out of Warsaw and right out of Poland. It was time to start heading south and east, that’s why we came on this trip wasn’t it? The reservation was free so we just scrapped it. The ticket office in Krakow is open all night but I wasn’t really feeling up to the 15 minute walk at midnight so we just consulted our trusty DB Navigator, found a train leaving early the next morning, got a few hours of sleep and then jumped aboard the train for Zilina. There weren’t any first class cars so we just grabbed a seat in second class and had a great time making friends. 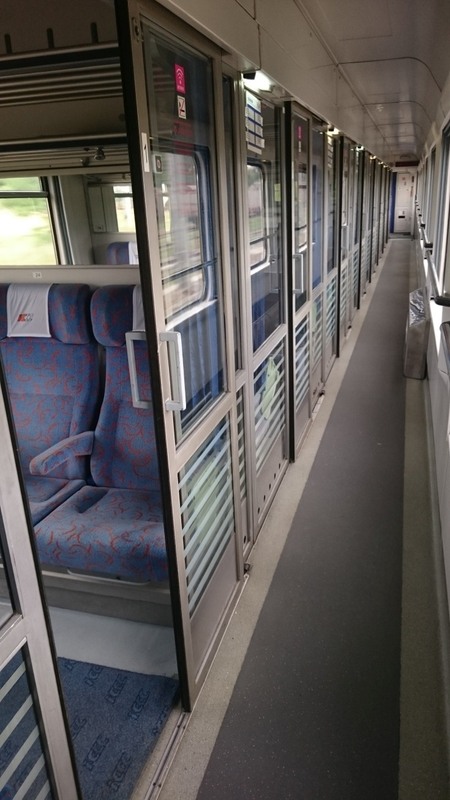 In Zilina we switched trains to Levoca and–yes!–there was a first class car. The second class cars were all overloaded with no seats to be found. We had to walk through all eleven cars with the hopes that first class would have some seats available. We checked carefully once we got there and found the last two empty seats on the train had reservation labels on them. 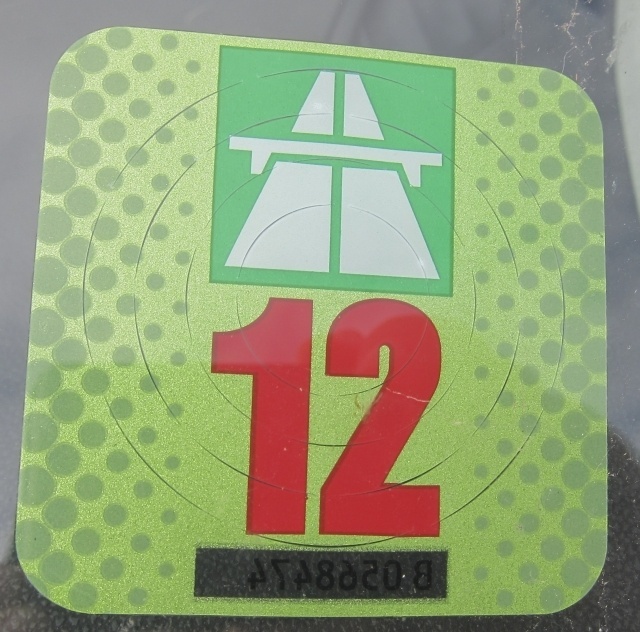 We had learned to read them carefully and, as luck would have it, the previous occupants of these two prime seats had only been riding from Bucharest to Zilina. They had just left when we got on. We took the seats and relaxed comfortably while at every other stop we saw more and more passengers boarding with out reservations or seats. Did we always need reservations? No, but it sure would have been better that time around. 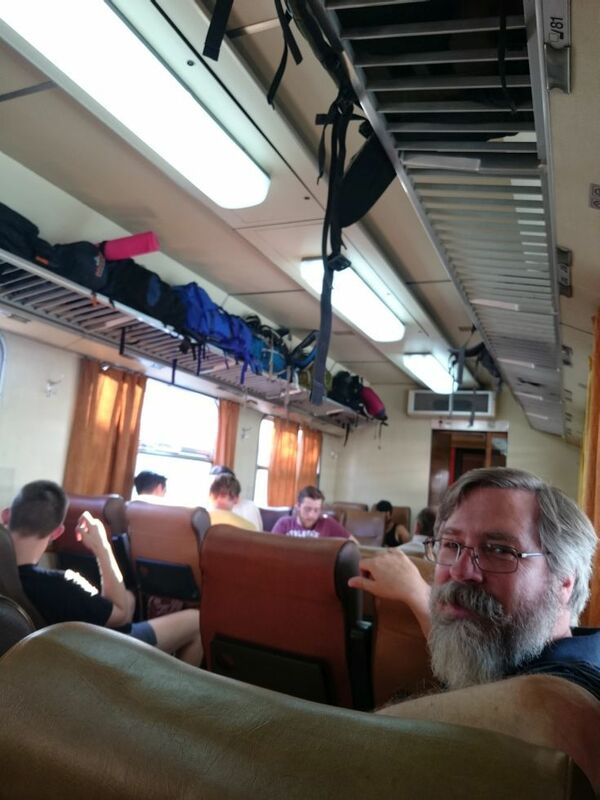 Fellow train travelers, backpacks on the racks…this is what we were looking forward to when we signed on for our epic train journey through Eastern Europe. Looks at Jim’s smile. So did we go to the train station and talk to a person to plan all of our routes? No way. Most of these ticket offices or traveler information desks are so busy, especially in summer, that we would have wasted far too much time waiting around. Again, here’s where the phone came in “handy”. 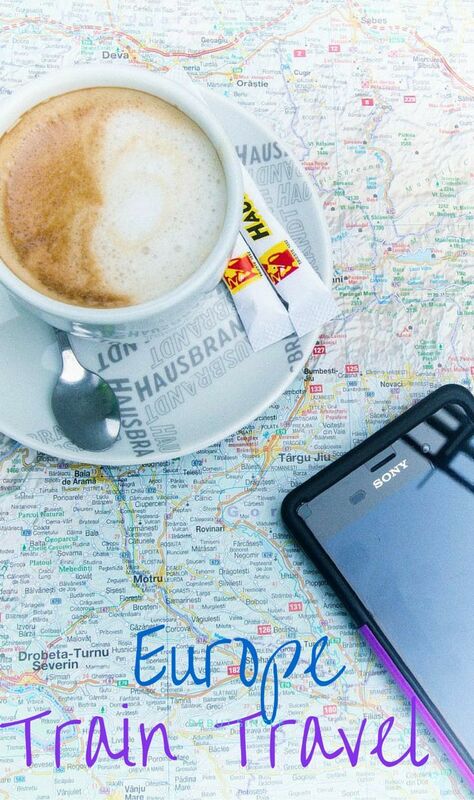 There are plenty of apps and websites to help you plan your way through Europe. Some work better than others and some just feel better. My favorite app for route planning was the DB Navigator provided by Deutsche Bahn, the German Train company. This app can find a route from nearly any point in Europe to any other point at any time of day or night. Another really useful feature of this app is that you can use it in map mode to find a station and see all of the possible direct destinations out. This is really useful when you’re being spontaneous and looking for something you hadn’t thought of already. There is also a similar app Eurail/Inter Rail–Rail Planner–and I thought it worked pretty well, but I found the DB app much easier and more accurate. For example, traveling from Thessaloniki to Skopje took 34 hours according to Rail Planner, but DB knew I could get the four and a half hour train direct between the two stations. Bucharest was another city I hadn’t really thought to visit, but with our Eastern Europe train itinerary in hand, we stopped off at this modern city with a varied history. How lucky are we?! Other times we really did need to go through the ticketing office, and that brings its own worries and frustrations. 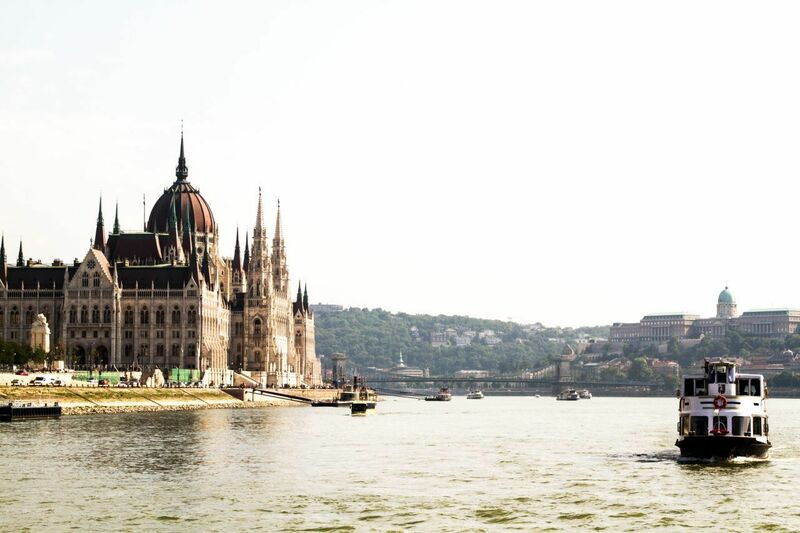 When we arrived in Budapest on a very hot and long Saturday in August, the ticketing counter was swamped with tourists, migrants, commuters and everyone was waiting for a number system that didn’t seem to be rolling over very often. We needed to get a reservation for our next leg, a sleeper cabin on the overnight train to Sibiu (you can’t just hop aboard these ones). I pulled 472 when the display was showing 391; I didn’t count but I’m pretty sure there were at least 80 other people waiting with number stubs in hand. I didn’t want to spend my entire stopover in Budapest at the ticket office so I started reading the signs. One of them listed all of the places to get tickets and gave the opening times for those offices. It turned out one of the options was at the business lounge in that same station (Budapest Kaleti). That was when we discovered our first class Eurail pass was a magic wand that would allow us entry into the pristine, air-conditioned realm of “business lounge land”. Here we could relax, use a clean toilet, enjoy a free snack and cold drink, and–most importantly–book our overnight train to Sibiu. After a short but pleasant break, we left the lounge with our reservation, stopped off at the regular ticket office (serving number 432) and gave our 472 to a dejected looking man holding number 631. It really made his day! 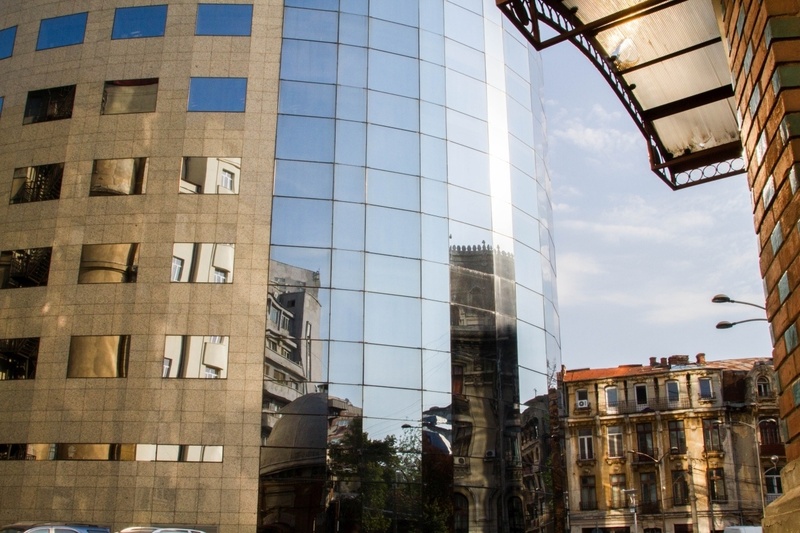 Look for business lounges in the central stations of major European cities and use your first class Eurail pass to gain entry. 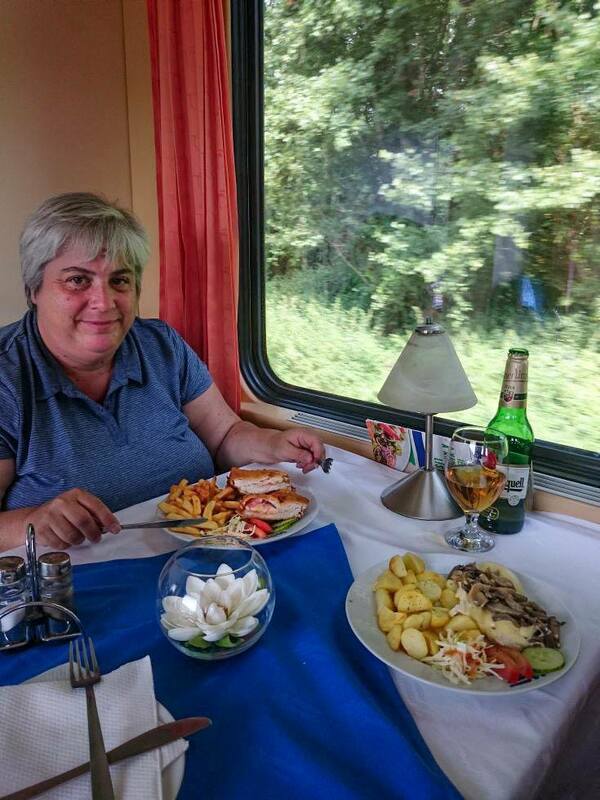 Eating in a dining car, with beautiful vistas slipping by…is one of the many reasons we chose the train to explore Eastern Europe. The next question…How did you find places to stay without reserving ahead of time? After we decided where we were heading, out came the phones! You need to find a hotel before you get on a train. I don’t really care which app you use for this but I’ve found Booking.com works best for me, even if it means I give up the possibility of a free night from Hotels.com; Hotels.com always seems to add fees and taxes that Booking doesn’t. Plus, I feel like Booking has a much larger community that is actively and accurately reviewing and rating hotels. Of course, if you have your itinerary planned out well in advance then you might as well make all your reservations ahead of time. But, if your more spontaneous and drifting along wherever the current pulls you, then a good booking app will find you a hotel on the same day you need it. Don’t wait until you arrive to start looking for a hotel! You’ll spend hours walking around a city, dragging your luggage along behind, getting hungrier and thirstier with every failed attempt. No room at the inn? Of course, there’s always the danger that your last-minute booking will fall through. We tapped the “book now” button just hours before our expected arrival on at least four different nights, and only got burned once. 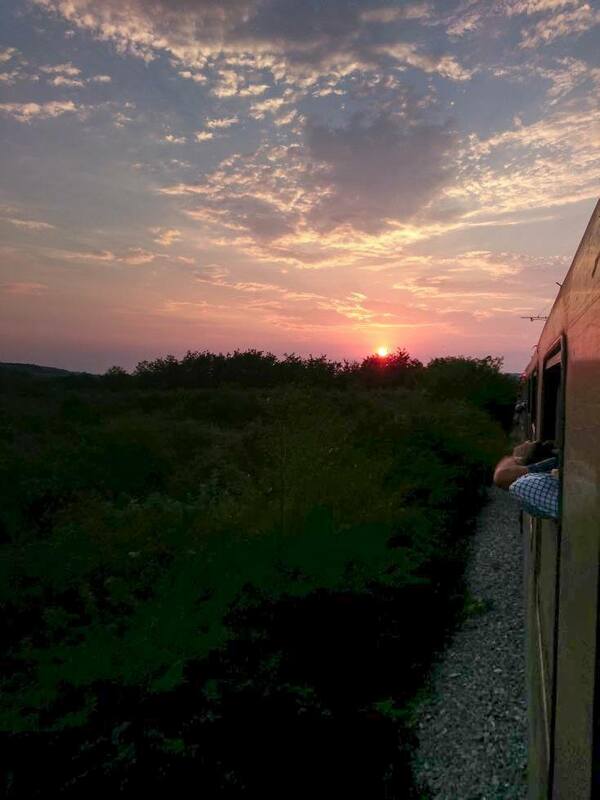 One of our many golden sunsets on our train travels through the East. Trip Adviser – I use this to find the must-see spots along the route and to check reviews on hotels and restaurants. The forums can be helpful when you’re trying to find some obscure bit of information as well. Yelp – Yelp is becoming more widely used around the world. Their may be other rating and review apps out there; but, as with Booking.com and Trip Adviser, Yelp has a pretty active community in many regions and we’ve found their reviews to be pretty helpful. Let’s face it, if we find ourselves at a bad restaurant we deserve to be eating crappy food. Of course, sometimes you just don’t have a choice and then we go with the usual method of looking for the crowded eateries. Seat61 – Need to know anything and everything about rail travel in Europe (and probably the entire world)? You will find the answer from the man in seat 61. This is the definitive source for rail travel how-to, route planning, train information, station information, seat information, wow, you name it, if there are steel rails involved he has the info. Rome2rio – This is pretty good website for spit-balling any travel ideas. You can put any to-from points in and get routing information on planes, trains, automobiles, taxis, buses, planes, ferries, donkey carts…OK, just kidding about the donkey carts. But I’m sure if someone published the mule train schedule for getting around Petra then rome2rio would include that too! 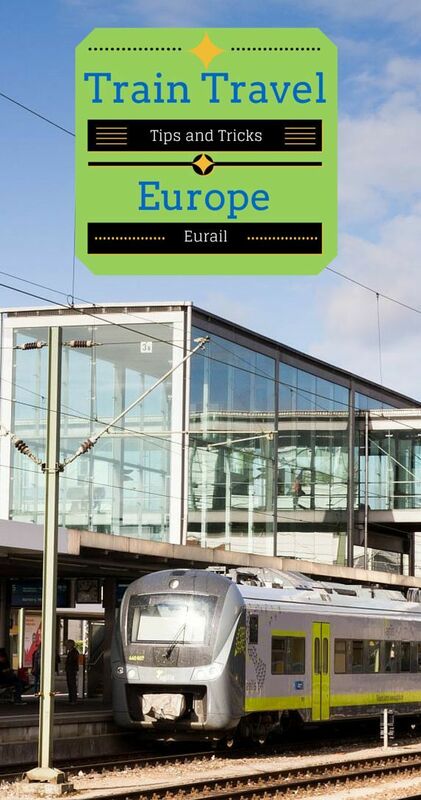 If you’re dreaming of your own Eurail journey in the not too distant future, you should definitely check out some or all of the resources we mentioned in this post. Be prepared and stay flexible; allow for spontaneity and adventure! We’d like to thank Eurail for providng us with the opportunity for this grand adventure with our unlimited train travel 21 Day Global Passes! Our train cabins on our Serbian train were private and cozy. We made great friends on this leg of the trip. 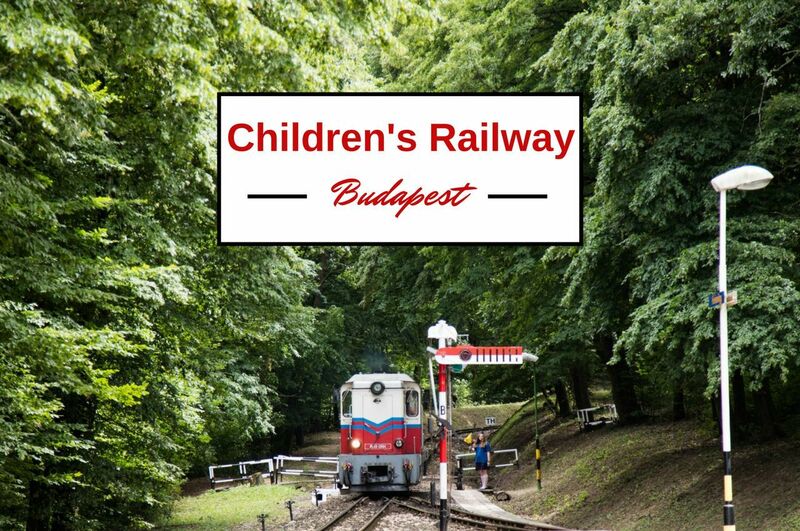 Pin Tips and Tricks to the Perfect Eastern Europe Train Itinerary for later! 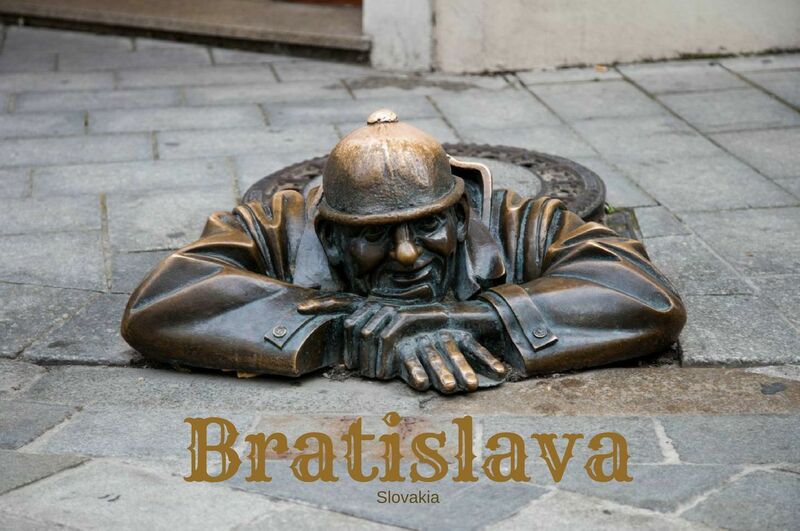 A few years ago, my wife and I spent a month in East Europe, travelling by train, visiting many of the same places. We normally went first class but found that buying tickets locally much cheaper than purchasing a Eurail Pass in advance online. We acted like locals and booked our seats a day or two before departure. You can book at the train stations or at offices in town usually … and you can buy multiple legs if you wish. Booking agents were always polite and usually spoke enough English to communicate easily. We never had to wait longer than 20 minutes to my recollection … but it was late not mid-summer. You always meet nice people on the trains, especially in first class. Joe, Yes, I’m sure that would have been true, but this year with the migrants moving west there were people everywhere! It was exciting! Hey, nice roundup of the travel experience on Eurail! Thanks for all the info. We’ll look to DB app when we are in E Europe later this fall. And I’d forgotten about the Man in Seat61! Sounds like you had an excellent trip with a healthy amount of adventure and surprise. Kris, Yep! It was all of the above. We were looking for an adventure and we found one. Traveling through Eastern Europe fed all our travel needs! Very comprehensive! Useful comparison of booking.com and hotel.com which I’ve used rather randomly. Can make the right choice in future. I’ve never made it to a free night anyway. Anabel, Jim is pretty good at the research and surprises me when he finds a really good helpful app. It makes me happy! Rhonda, We have a lot of planning tools, but we’re so lackadaisical about planning, that it usually is a matter of hours before check in. Great post! Looks like you had a lot of fun travelling Eastern Europe. Also thanks for comparison of booking.com and hotel.com, very useful. Evan, Yes, we did have a great time in Eastern Europe. I can’t wait to go back! Great tips! Love all the apps you mention. We use google maps offline all the time. I can’t wait to get to Europe finally and start my rail adventures! Shelly, It is a blast! Will you be coming to Europe anytime soon?